I travel quite frequently and always make a point to purchase travel insurance as soon as I booked my tickets. The reason for doing so is to safeguard my paid travel expenses such that in the unfortunate event that I am unable to travel for pressing reasons, there is a way to recoup my unrecoverable travel expenses (eg. deposit, air tickets, hotel charges, etc). For example, my colleague was due to travel to Bangkok and booked his trip months in advance. Unfortunately, towards the date of his trip, there was bad flooding in Bangkok hence there was no way he could have gone on with the trip. Had he not purchased a travel insurance plan ahead, he would lose his air tickets for his whole family of 4. Good thing for him, he managed to get back whatever monies that the airline could not refund to him as a result of his flight cancellation. Hence, I always advocate the purchase of travel insurance. You never know when you would need it. Furthermore, it is not expensive and very easily purchased online. There are a few insurers that I have purchased from - I always insure with the one that has promotional rates during the period when I need to buy insurance. How an insurance company deals with your claim is a VERY IMPORTANT factor in deciding whether you would want to renew with this company ever again, even if their rates are the most competitive! Of the 4, I have experienced claiming from No. 2 to 4 and in addition, AXA. Not all were travel related claims. Some were medical claims which I claimed on behalf of my mom from her policy. Generally, I am very satisfied with the speed of claims processing by Chartis, AXA and MSIG. They are quick to reply, assess your claims and pay out the claims. All in all, they seldom take more than 2 weeks. When my dad passed away, he had a policy with AXA. Within a week of me submitting a claim, AXA already paid up the policy claims! I was still half expecting them to drag on but my experience with AXA showed that they value their customers and are compassionate towards the customers' circumstances. Therefore I am impressed and will continue to insure with AXA when possible. Same goes for Chartis and MSIG which were both speedy in processing minor claims. Hence, I would recommend AXA, Chartis and MSIG for their speedy response to claims. As for China Taiping, I have no experience with claims though their premiums are always competitive, hence I have bought insurance with them many times. Ace Insurance is a company that engages plenty of telesales marketing agents to call you and bomb you with plans. That aside, sometimes their plans are quite attractive in price and coverage. Unfortunately, after a few rounds of travel insurance with them, I recently had to make a claim due to flight curtailment. It wasn't a big amount, at most $150. However, the way they reply and act on my queries leaves much to be desired. Each email I sent to them takes at least 7-10 working days before anyone replied and it is a reply with no real answers or ambiguous replies. Even when my actual documents were sent to them by mail, it also took them at least a week to acknowledge receipt. All in all, it has been a month since I sent out my claims and to date, I am nowhere near clearing my claims because of this delay on their side. This is perhaps their tactic. To delay claims so that you would just give up? 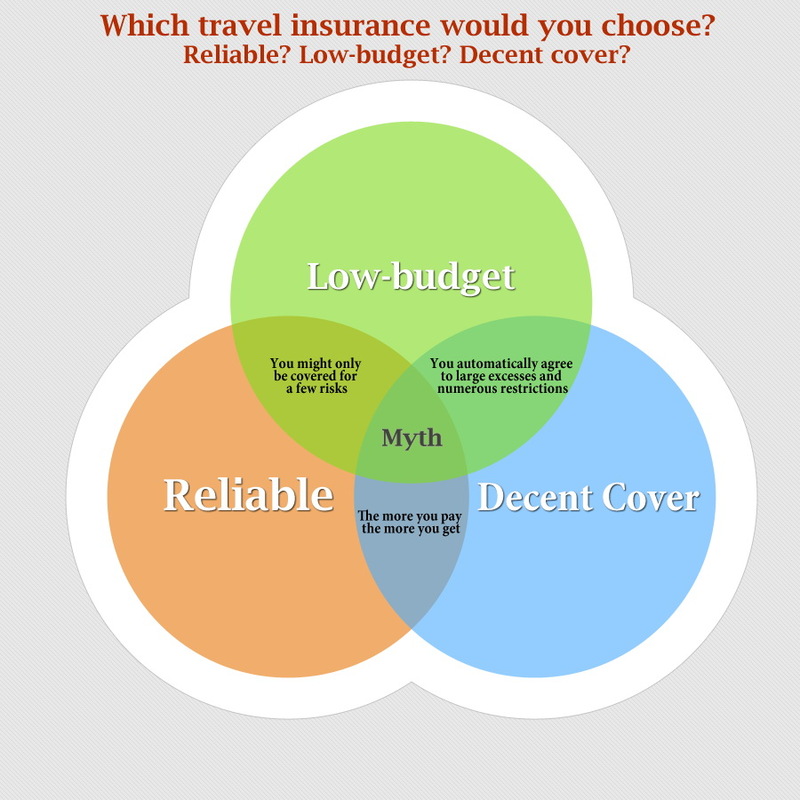 I am not sure, but if you are reading this now cos you are looking for travel insurance recommendations, I would suggest you stay away from ACE for any type of insurance. Better be safe than sorry - even when choosing insurance companies, cos there are so many out there, why risk it with one that is known to be adverse to claims? People purchase insurance for the unforeseen events. When events happen and it becomes difficult to claim, that what is the point of buying insurance in the first place? Would you trust an insurer that drags its feet when it comes to claim? For me, no way! Just like I would avoid any hawker stall that caused me food poisoning once before. Filed flight delay claim with proper required documents with MSIG TravellerShiled. It has been more than three weeks, no response except for an auto-email reply. The claim is only for about $120 or so. I doubt MSIG will honor their obligations for larger claims. I start to have very negative impression on insurance coverage. At the end of the day, it is the small guy against the giant corporations. Yes I do agree that MSIG seems to be getting slower in processing claims these days.Perhaps dropping another email to their customer email address may help expedite your claim. For Flight Delays, it is very useful if you can try to get a written letter from the airline counter upon the point of being informed of flight delay - stating the cause (if possible) and the duration of delay, especially if you are in a foreign country because some airlines have customer service hotlines that leave much to be desired.